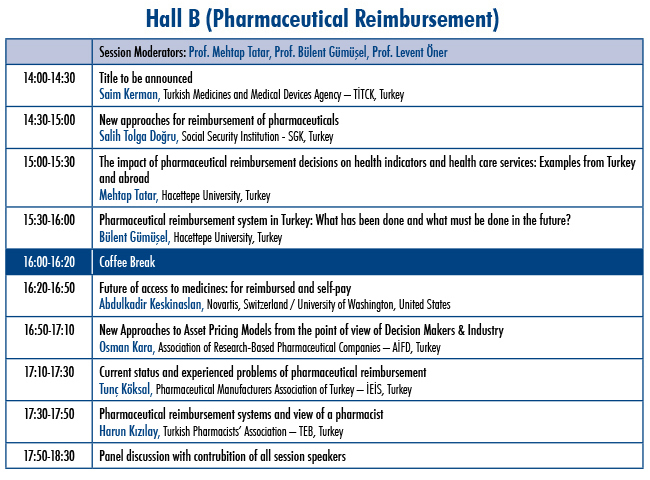 It’s my great pleasure to welcome you to the 17th International Pharmaceutical Technology Symposium-IPTS 2016 in Antalya which will be held on 8 – 10 September, 2014 under the auspices of Hacettepe University. 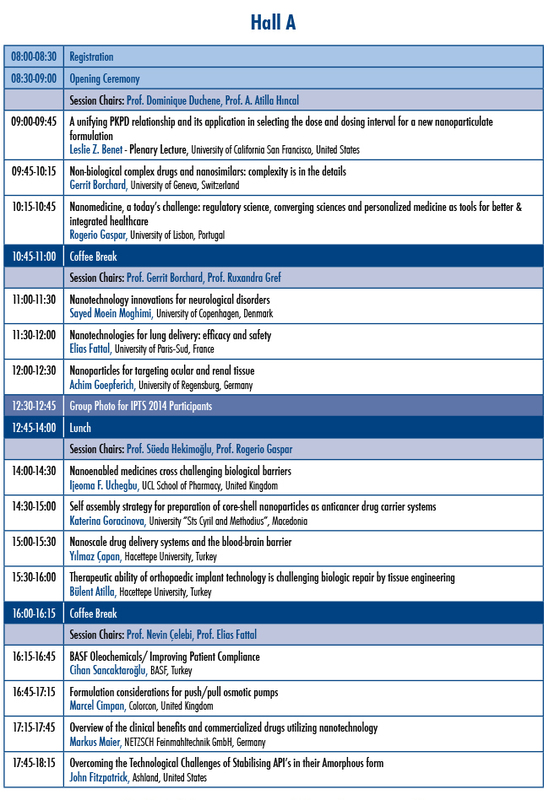 IPTS 2014 will feature a theme of "New Therapies, Delivery Technologies and Manufacturing Science” and will consist of morning and afternoon sessions in each of 3 days for scientific sessions. 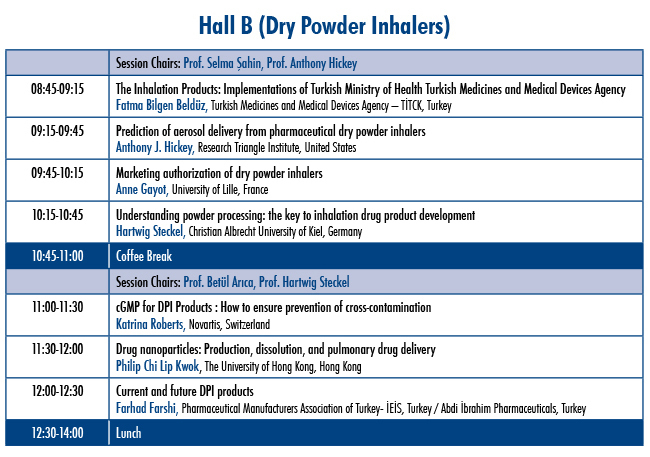 There will be plenary lectures and session lectures given by the “Invited Speakers” from all around the world, and also oral presentations selected by the submitted abstracts. 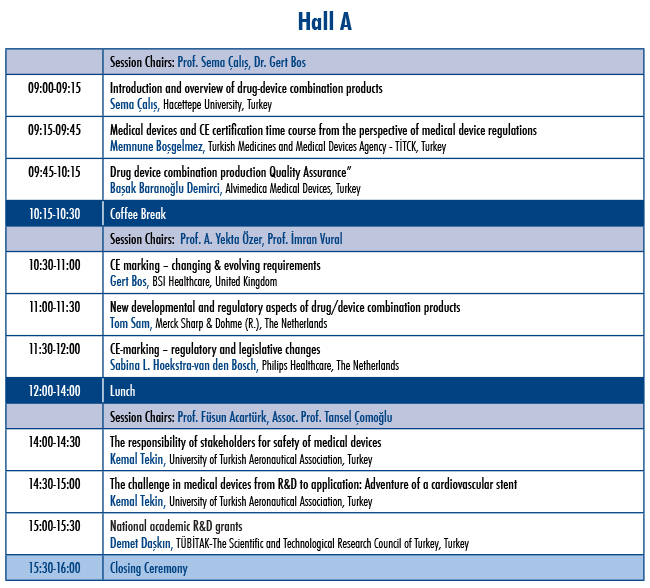 The “poster session” from different fields of pharmaceutical sciences will take place. IPTS 2014 Exhibition will also be carried out by industrial exhibitors. 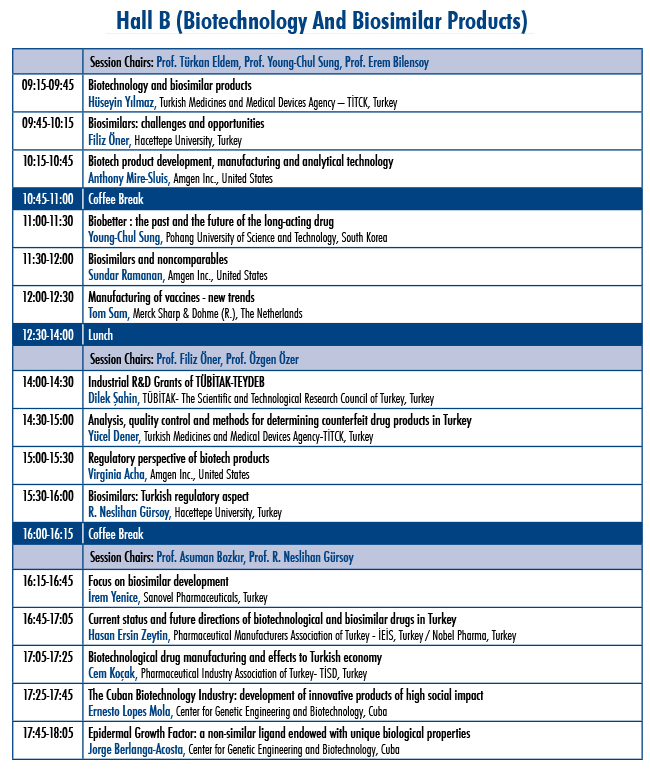 The International Pharmaceutical Technology Symposium has been organized biennially since 1982 as a pioneer organization, with a boundless enthusiasm of the colleagues from the Department of Pharmaceutical Technology, Faculty of Pharmacy at Hacettepe University. The IPTS has become a traditional and a very well-known scientific symposium in pharmaceutical technology field, with the precious supports and encouraging of our colleagues from all around the world and also the industrial partners in Turkey. My colleagues from the Organizing Committee and I hope and believe that, as achieved by the former symposia, the 17th IPTS will offer great opportunities to the scientists for discussing recent topics in the field, will bring the academia, industry and health authorities together for sharing their experiences, and will help all the participants from academia and industry to solve current problems and challenges in practice. We are looking forward seeing you in Antalya-Turkey in a wonderful season of the Mediterranean for enjoying the “sea and sun” as well as the hot topics in science. Abstracts should only be submitted via e-mail. The presenting author must register to the congress. Only the abstracts of registered presenting authors will be included in the program and book of abstracts. Abstracts must be received online by the Symposium Agency(eda.bektore@dmrturizm.com.tr) not later than August 15, 2014. Faxed abstracts will not be accepted. No corrections and changes will be allowed after submission. The use of graphs, tables, equations and line drawings is strongly recommended. 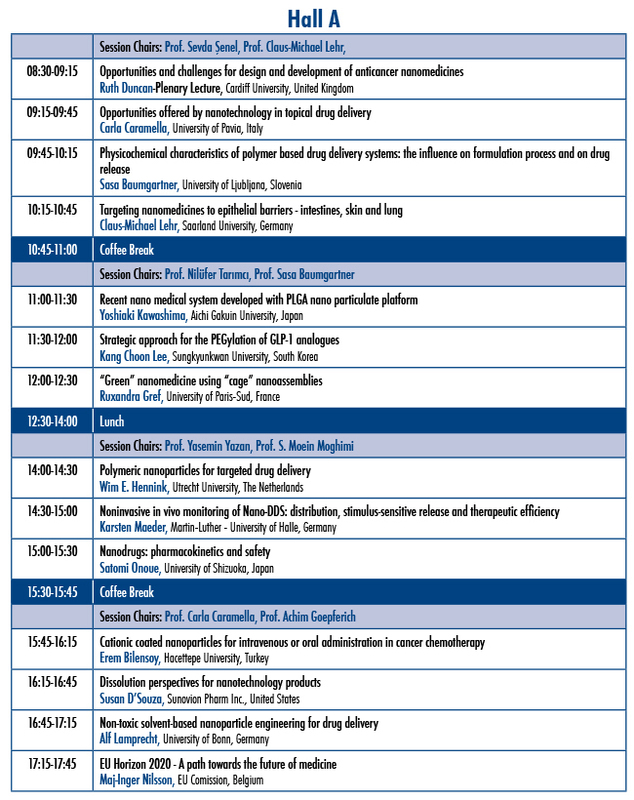 Invited or plenary speakers need not to follow the above outline; however they MUST submit an abstract. Only online submission to the Symposium Agency (eda.bektore@dmrturizm.com.tr) is accepted. Allowed number of figures (tables and pictures) is limited to a total of 8. Abstracts are limited to 7500 characters. Submit in Word or Word Perfect files. Photos and line art MUST BE electronically embedded within the text of the document. Please note that figures may be resized to fit in the final printed material. Please check the web site for updates of abstract submission details. Abstracts will be accepted either as oral or poster communications. Instructions for preparation of oral presentations will be announced together with results. Registration fee includes; attendance to scientific sessions, industrial sessions, coffee breaks, lunches (according to the symposium program), social events (opening cocktail and gala dinner) and scientific documents. *Master / PhD students and post-doctorates must provide a signed letter from the dean. 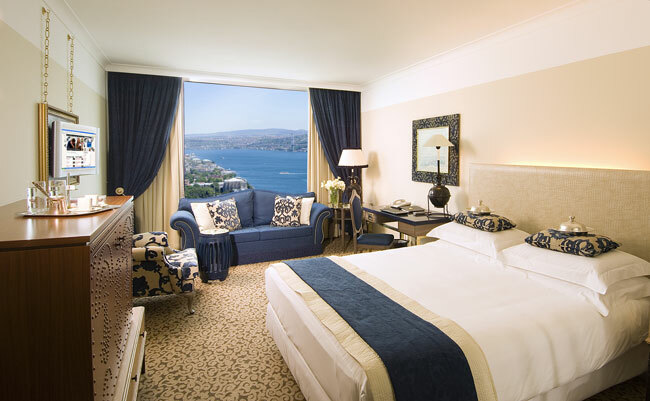 Accommodation package includes; 3 night accommodation between September 7 – 10, 2014, all inclusive facilities at The Marmara Hotel’s structure. V.A.T. (%8 ) is not included. • Please note that, registration reservations will be confirmed by DMR Tourism ( Fax no: +90 312 442 04 10) after you send the registration form. Kaleiçi (Old city): It is surrounded inside and outside by horseshoe shaped walls most of which were demolished and disappeared in time. The ancient walls are the joint monument of the Hellenistic, Roman, Byzantine, Seljuk and Ottoman periods. The walls have 80 bastions. Inside of the walls, there are approximately 3000 houses with red tile roof. The characteristic structure of the houses not only gives an idea about the history of architecture in Antalya, but also reflects the life style and traditions in the region. 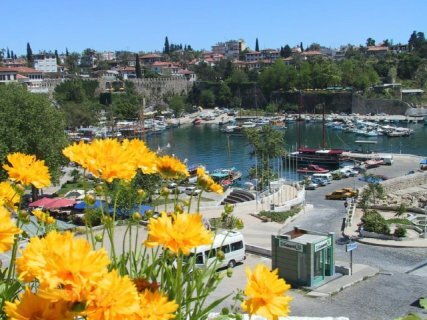 In 1972 Antalya marina and Kaleiçi district have been put under protection by High Council of Immovable Monuments and Antiquities as a protected area due to its unique texture. Due to the restoration project of “Antalya Kaleiçi complex” The Ministry of Tourism was awarded the Golden Apple Tourism Oscar by FIJET (International Journalists Association of Tourism) in April 28, 1984. 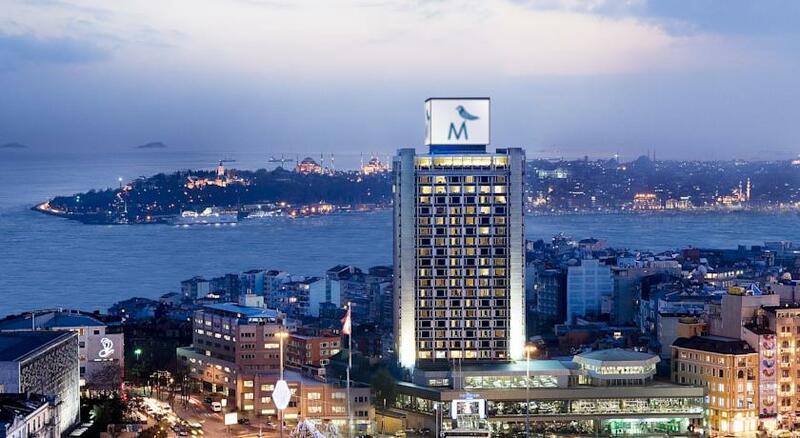 Today Kaleiçi became an entertainment centre with its hotels, pensions, restaurants and bars. Yivli Minaret: First Turkish monument in Antalya. It is close to marina in the centre. According to the epigraph on the monument, it was built in the reign of Anatolian Seljukian Sultan Alaeddin Keykubat (1219 -1236). Its brick laid body consists of 8 semicylinders. If there was a mosque adjacent to this minaret, it should be demolished because the mosque near the minaret belongs to 1372, a later period. It was built by an architect named Tavaşi Balaban in period of Turkish principality, Hamitoğulları. Evdir Han (Evdir Caravanserai): Until the beginning of the 20th century, transportation was provided by horses and camels and also goods were transferred by this way. The caravans accommodated in “Han” and caravanserai on the road. Evdir Han is one of them. It is on the road to north from Antalya. It is located 1 km east of Antalya - Korkuteli Road and 18 km away from city centre. The part that attracts most attention is its sharp pointed, arched portal. It is a Seljukian monument which was built in XIII century. Kırkgöz Han: Kırgöz Han is the second stop on the old Antalya – Afyon road. Kırgöz Han is located in Kırkgöz, Pınarbaşı district that is 30 km away from Antalya. It is in very good condition. 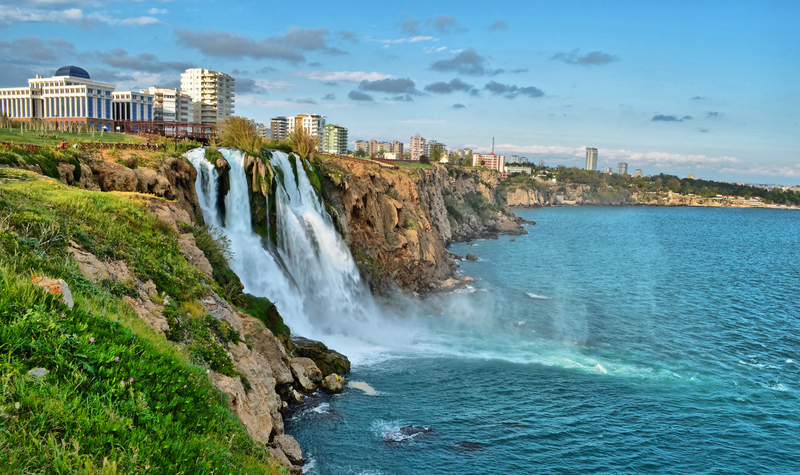 Düden Waterfalls: The waterfall which is one of the natural beauties that symbolizes the city is located approximately 10 km northeast of Antalya city centre. It falls down from a height of 20 metres. The main source of the stream is in Kırkgöz area. 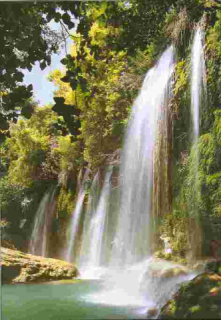 However lower part of Düden Waterfall is on the road to Lara Beach. It is on the southeast of city centre and floods from 40 metre high cliffs. It is one of the natural beauties that symbolize Antalya. Lara – Konyaaltı Beaches: The natural beauty Lara beach which is approximately 10 km north of Antalya city centre and Konyaaltı beach which is on the west coast of city centre are the best coasts of the city. Ariassos: It is 1 km inside from the turnout on 48th km of Antalya – Burdur highway. 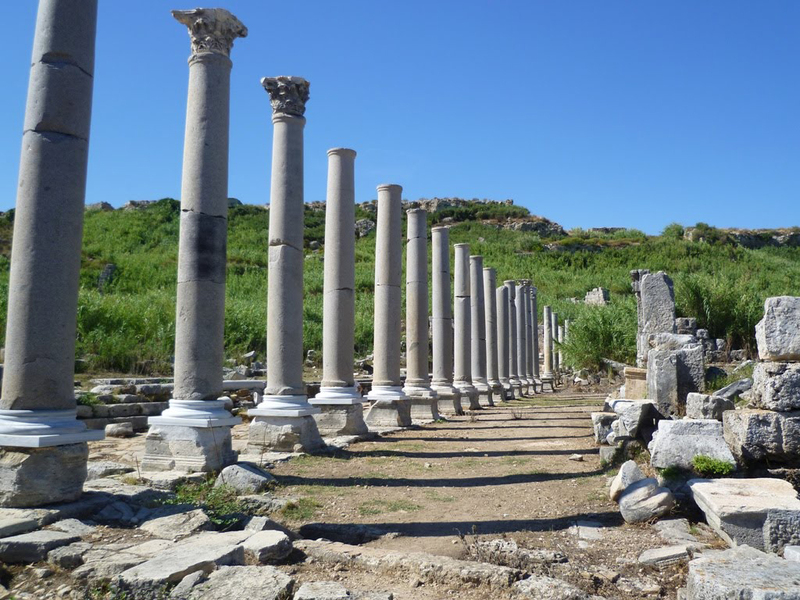 Situated on mountain slope, Ariassos is worth seeing with its hamams and rock tombs. At the beginning of Ariassos valley, the most glorious remain the entrance gate rises. This monument which belongs to Roman period, called “Üç Kapı” (Three Doors) by local people since it has 3 arches, thus 3 entries. The most astonishing feature of the city is that three out of four of the whole city is the remains of necropolis with magnificent tombs. Life Style: There are heritages of two lifestyles prevailing in Antalya and the region. When the Turkish people first came here, they immediately oriented the settled lifestyle and built villages, towns and cities. Another part of the population continued the unsettle life as they did before they came to Anatolia. According to a lifestyle called semi settled 15 – 20 and sometimes hundreds families in relation live in hair tents and migrate to mountains in summer and then warm lowlands in winter called “Kışlak”. They raise sheep, camel, and sell or exchange the products they made from these animals with ones of settled people. They produce meat, milk, oil and weave hair tents and carpets with the madder. There are also people who bread crops, vegetables even in the confined areas. There were even big unsettled groups (aşiret, oymak) that rose horses to Ottoman Army. 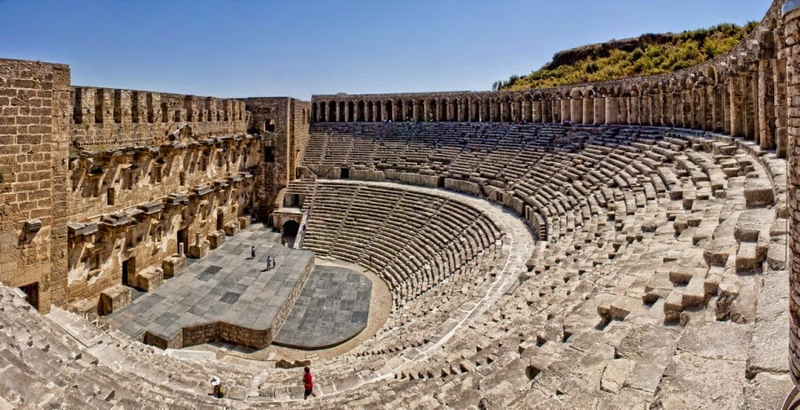 Antalya is easily accessed from most parts of the country and the main bus station is 4 km in north of the city centre. You can reach Antalya from Istanbul in 12 hours, from Fethiye in 8 hours, from İzmir in 9 hours, from Ankara in 8 hours and from Göreme in 10 hours. Most of the bus companies have free services from the terminal to the city centre.You can reach the districts such as Kaş, Alanya, Olympos and Side from the Terminal easily. All the busses are air-conditioned. The nearest railway station is at Burdur. Antalya airport is 10 km east of the city centre and has direct flights from most of the countries of the world. It is well connected to other parts of Turkey and especially in summer has many daily direct flights from Istanbul, İzmir and Ankara. Antalya’s marina is one of the most important ones in Turkey. 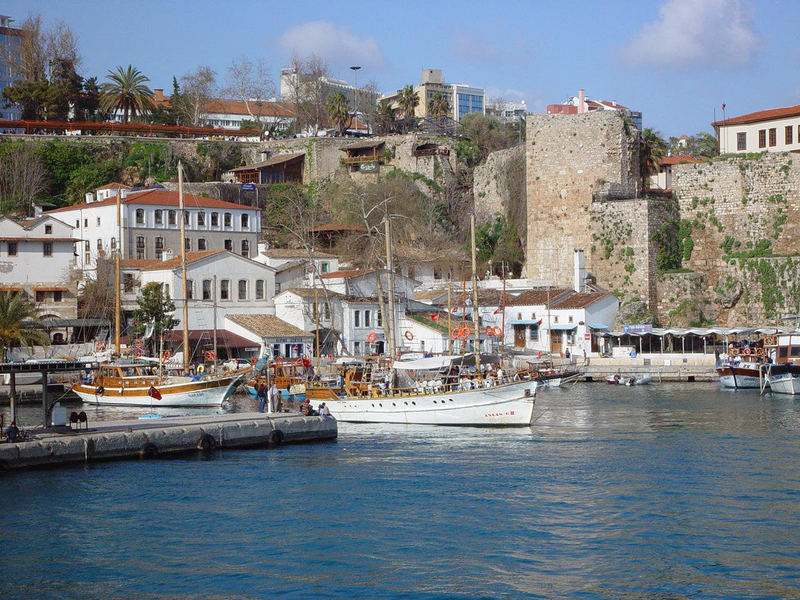 The Kaleiçi (Old Town) marina lies at the foot of the old part of the city. Apart from private yachts coming from all over the world, there are passenger ferries to Cyprus and Rhodes. Phone Number: (0242) 241 11 20. The Turkish Lira is the currency of Turkey. Minor Unit: 1/100 = kuruş. Banks and bank machines (automatic tellers) can be found throughout the city. Regular banking hours are 08:30 – 17:00, Monday to Friday. Most banks have automatic teller machines (ATM), which can be accessed 24 hours a day. Currency Exchange Offices (Döviz Bürosu) are found in tourist, market and commercial areas. Automated teller (cash) machines (cashpoints, bancomats) are everywhere in Turkish cities, airports, and even in most small towns. Choose your language: Turkish or English for sure, and sometimes French and German. Just push a button to get screen prompts in your language. Antalya remains a destination with no increased risk when compared with other major destinations in the world. In addition, strict security measures are put in place by the competent authorities in the city during major congresses and events. To enter Turkey, you are required to have a passport that is valid for at least six months from the date you travel to Turkey. In addition, nationals from some countries require a visa to enter Turkey. Depending on your country of origin, you may purchase a visa stamp at the point of entry, or you must apply for the visa before arriving in Turkey. For information on whether you require a visa to enter Turkey, visit the Ministry of Foreign Affairs website. Please also note that visa stamps purchased at the airport are payable in cash only (TL / USD / EUR). Traveler’s checks and credit cards are not accepted. DMR Congress Organization Services Tourism Inc.
© Copyright - DMR Turizm. All rights reserved.